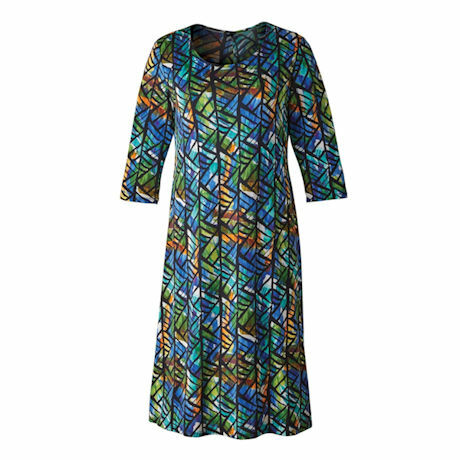 The vibrancy of stained-glass colors makes this dress a standout for the season, with a silky feel you'll love at any occasion. ¾-length sleeves. Easy-care 94% polyester/6% spandex. USA. 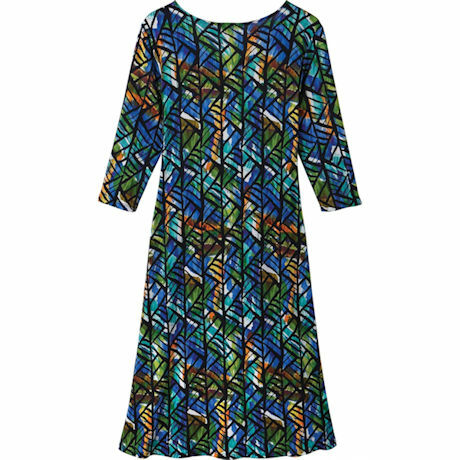 S(6-8), M(10-12), L(14-16), XL(18), 1X(18W-20W), 2X(22W-24W), 3X(26W); 43" long from high point of the shoulder to hem.